Background: In 1809, Elizabeth Ann Seton founded a Catholic religious congregation in Emmitsburg, MD that is today known as the Sisters of Charity. Primarily, the sisters aimed to serve the poor by providing education, although the order was responsive to community needs in its services. In 1814, Mother Seton sent three sisters to care for orphans after receiving a request from clergy in Philadelphia. In 1817, the Sisters of Charity answered a similar call from New York City to staff the Roman Catholic Orphan Asylum. Introduction: Some of the earliest sustained social service institutions and healthcare facilities in New York City were started by the sisters. Their allegiance to local Catholics in the city came in conflict with their obedience to their superiors in Emmitsburg, eventually leading to the establishment of a separate order recognized as the Sisters of Charity of New York (SCNY). As Catholic immigrants arrived in poverty during the 19th century, the sisters became known for accepting newborns at the doorsteps of the convent. The work of the SCNY in education, health care, and other social services for all faiths and races continues today. After a seven day journey from Emmitsburg, three sisters opened the first Catholic orphanage in New York to five children in a dilapidated Revolutionary War structure known in the neighborhood as The Dead House.1 The sisters immediately began seeking a new facility with their yearly stipend of $36.00 and the meager support of an upstart Catholic benevolent society. By 1819, they had raised money and managed space to support twenty eight children. The sisters “slept on mattresses on the floor and lived on a diet of soup, potatoes and carrot coffee” (de Lourdes Walsh, 1960). In 1820, the sisters gained permission to coordinate with families willing to provide basic necessities including education to the young children in return for indentured servitude, a common practice at the time. This allowed the sisters to give priority to younger children who would otherwise die on the streets or end up in an almshouse. The temporary measure of indenturing was continued until the sisters moved to a larger building in 1826, when they began keeping children until completion of basic education. At this time, almshouses provided no education and were an unfavorable environment for a growing children. The conditions were dirty, and orphans were joined in the shelter by criminals, the diseased, and the insane. In response to these deplorable conditions, a Protestant orphanage had opened about ten years before the Roman Catholic Orphan Asylum. The Bishop of New York requested that the sisters provide a Catholic environment to aid male and female Catholic children. This Sketch of the original St. Patrick’s Cathedral is from the Civil War era and gives a taste of the less crowded nature of the area, in contrast to the tall buildings that surround today’s Cathedral. When first built, there was plenty of room for an attached cemetery, school, and orphanage. The first orphanage became known as St. Patrick’s Asylum due to its proximity to the cathedral of the same name. Simultaneous to these developments, the sisters opened a few schools in the surrounding area by 1843: St. Peter’s in what is now the Wall Street section of the city, St. James Free School in Brooklyn which had about 200 students, and St. Philomena’s academy which served the community for over 100 years. The early Catholic lay community lacked basic necessities and had limited financial security, especially in New York where many were poor immigrants. The early work of the sisters was funded in various ways, including both successful appeals to Protestants and charity sermons at Mass that encouraged generosity from attendees. One of the more creative approaches was an opera event at St. Patrick’s Cathedral, and this benefit concert became an annual affair. It was particularly successful in its first year, 1826, since Italian opera companies had only opened in the city during the previous year. 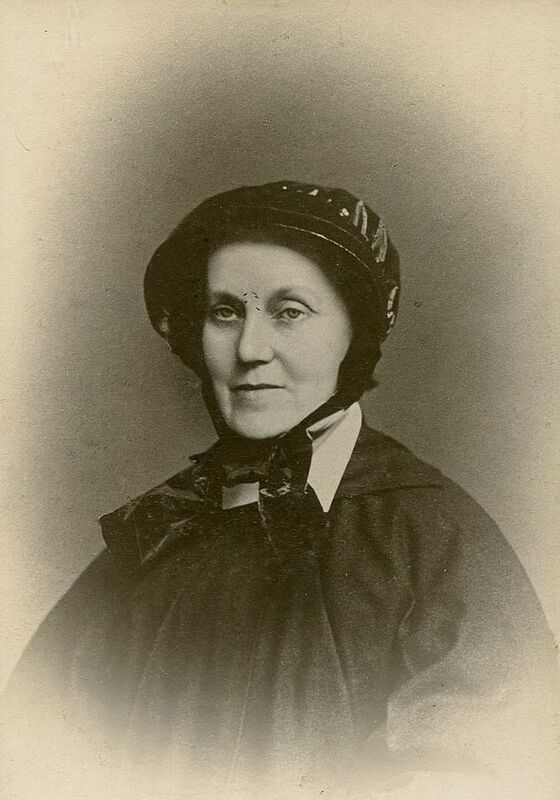 One sister, an excellent organist, was permitted to hire out her skills in support of the service work. 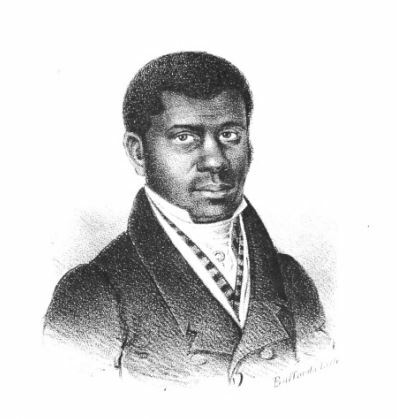 Pierre Toussaint, a former slave from modern day Haiti, was an important part of early fundraising from the community. In 1828, he collected over a third of the donations for one of the sisters’ asylums. He would be a friend to the sisters until his death in 1853. With so few funds, the sisters approached their work in an ordered way so as to provide quality education despite the large quantity of students. If possible, groups of three sisters were chosen carefully to open a new mission and school in hopes of promoting experience and energy, including one sister who had worked in education for years, a newly professed sister, and a novitiate completely new to teaching. The Lancastrian method of teaching was also employed, where elementary instruction was provided using older children as classroom monitors. In 1831, attempts were made to secure public support for Catholic schools, considering their service of the poor. After two years of debate, $500.00 was allotted by the state legislature reluctantly. Undoubtedly, a major factor in the decision was the service of the sisters during the cholera outbreak that afflicted the city in 1832. The urgent needs of the sick, including care of their children, were placed above almost all other duties of the sisters. Within two years of the outbreak, Brooklyn received two sisters who opened an asylum and female literature society. Their residence was described as an old-fashioned farmhouse, yet the simple establishment would branch out as several other communities developed on their side of the East River over the next few decades. The sisters were known for their quality services, and parishes delighted when their requests for sisters were fulfilled by superiors. Education for the 120 girls at St. Patrick’s halted suddenly when a fire burned down the school building. A request was made by Father Dubois to a nearby public school, in hopes that the children could attend with his supervision and receive outside religious education. Unfortunately it was denied. Bishop Hughes, who arrived in 1837, took a different approach to gaining support for Catholic schools. He made a request that public money support non-religious subjects. He highlighted the tension in fulfilling a duty to educate the community’s children when public schools “used textbooks filled with anti-Catholic prejudice” (de Lourdes Walsh, 1960). At the time, it was common throughout the country that public money would support non-sectarian institutions. This often meant programs which endorsed a generally Protestant perspective. Hughes was turned down, but he quickly became known for his aggressive stance. When Nativist riots ignited anti-Catholic fervor in a number of cities during the mid-19th century, New York City was kept in check by Hughes and his “fighting Irish.” An uneasy accord was maintained in the town that by 1850 was home to 200,000 Catholics, 1/3 of the total population of New York City. Known as “Dagger” John, the Bishop was also famous for his assertiveness with fellow members of the Catholic American hierarchy. Early on in his assignment to New York City, he noted to superiors in Emmitsburg that the sisters were too far from their place of spiritual formation. In actuality, the sisters frequently received letters from their superiors that connected them to their community and maintained those important formative relationships. By 1844, Hughes claimed power to manage the Catholic religious who served in his diocese, including the sisters from Emmitsburg. It initiated a drawn out discussion that would eventually sever ties between the two communities and distinguish the Sisters of Charity of New York from those of Mother Seton’s order. While there is some debate over the nature of this split, historians generally identify a number of significant factors which led to the new order, officially in 1846. The New York community increasingly saw sisters in contact with male children as a necessity rather than an exception. Hughes was uneasy about the discussions in Emmitsburg of withdrawing sisters from these male orphanages. Dagger John also felt superiors and the community in Emmitsburg held too much power in their ability to withdraw sisters in general. Hughes claimed that elections of new superiors or re-assignments for sisters might be sudden and leave him at an enormous administrative disadvantage in serving his poor community. On the other hand, the Sisters of Charity had an established rule which should be honored by local priests. If Hughes disrespected the rule of the order, superiors felt other regional clergy would follow suit in claiming dominion over their sisters and the order would fragment. Already, there was a Sisters of Charity of Nazareth, Kentucky, although it had never officially been associated with Mother Seton’s sisters. Mother Superior Etienne met with Bishop Hughes for ten days, but there was no resolution. The fragmentation in New York was particularly painful, because the sisters were given the individual choice to stay or return. The original mother house of the SCNYs was at McGowan’s Pass. While the sisters re-located to a nearby castle-like structure donated by a famous entertainer in 1859, they returned to the scene and opened a military hospital during the Civil War era, in which this photo was taken. The sisters had been provided the choice after months of uncertainty, and almost half of the community returned to Emmitsburg. While many sources suggest circumstantial reasons for the split, one source suggests that Hughes was the instigator. There is evidence that he began treating Sister Boyle, later mother superior of the new community, as a leader before the split was official. Also before the dispute began, a fellow priest who oversaw an order of sisters refused a request from his personal friend Hughes based on the fear which he felt and which he expressed frankly to Bishop Hughes, that the bishop might form into a separate community under his own direction any religious sent to serve (Code, 1899). The immediate effect of the split was under-staffing in the three asylums, three academies, and three free schools run by the sisters at that time. Still, Hughes had faith that vocations would be plentiful in his growing community, especially considering the many orphans and poor Catholic girls who benefited from the work of the sisters. In fact, there were candidates immediately interested and a mother house was purchased at McGowan’s Pass just outside the developed area of the city. At McGowan’s Pass, the sisters found themselves living in a former bar and a building of great disrepair. Within a few decades, the sisters would establish a religious community and reputable school at the site. Many parents hoped the structure of the SCNY lifestyle, which students generally followed, would order the morality of their children. Luxury was a minimal concern, and the school was still a shack in 1857, ten years after opening the new mother house. It had even taken a few years before the city extended running water to the establishment. The running water was possibly a show of appreciation for the contribution to public health by the sisters starting in 1849. St. Vincent’s Hospital was created from a rented house which immediately accepted 30 patients, leaving the sisters to sleep on the floor. By 1852, a thousand patients had been cared for, and the sisters provided a crude yet preferable choice to public hospitals which were staffed by untrained nurses and prisoners. In a time of crisis, 200 patients of a typhus outbreak were transferred by the city to St. Vincent’s, and “from the beginning no distinction was made as to race, creed or color” (de Lourdes Walsh, 1960). The height of immigration in the 1840’s had led to an increased need for orphanage care, especially after Bishop Hughes successfully appealed for public land. The early Catholic community saw it imperative to protect the many children arriving in the U.S. whose parents died on the voyage from Ireland or elsewhere. By the 1850’s, the American Female Guardian Society and other groups had convinced stage legislators of a dire crisis in care. Child removal was promoted as policy, and thousands of children, especially from Jewish and Catholic families, were placed into Protestant homes by route of orphan trains. Many of these children were removed on the premise of poverty and neglect and were raised Protestant despite having relatives in New York City of their original faith. Even at the turn of the century, welfare organizations like the Children’s Aid Society held great discretion in removing children from the home and controlling contact with members of their faith heritage. Orphan trains continued until 1929, and the scope was hundreds of thousands of children who had been re-located. By the 1860’s, a small program at Notre Dame University accepted older Catholic orphans as part of an industrial school program. It was far from a full solution to the demand for orphanages. The Civil War also led to sisters opening St. Joseph’s Military Hospital, which took their full attention. In 1866, the public called them to service when yet another cholera outbreak afflicted New York City, and five sisters risked their lives to care for the ill quarantined on Ward’s Island. Sisters were eyed with less suspicion after the war due to their courageous service as nurses, and it is in this context that a serious expansion of Catholic orphanages began. Sr. Mary Irene Fitzgibbon saw a growing trend of infant abandonment by Catholic mothers, some who left their newborn at the doors of convents to avoid the child welfare system. In 1869, Sr. Irene and a young companion opened an infant asylum, the New York Foundling Hospital, in a rented house. They wrote, “We commenced the work with two cups and saucers. The first morning we had to beg our breakfast. We slept on straw the first year, rolling the mattresses up during the day” (de Lourdes Walsh, 1960). Eventually, they developed an institution that included a regulated foster care system. Sisters would reimburse families to care for infants under the condition that they submitted a letter of good health for their family and allowed regular inspections of their house. Tradition of the sisters is that one needy mother had sparked the idea by offering to nurse other children in exchange for shelter. A few years after opening, the hospital was moved to a bigger building but lacked the funds to admit capacity. The President of the Board of Health swayed the passage and implementation of a bill that reimbursed the sisters 38 cents per day per child, citing the observable impact on infanticide the hospital had. By 1894, a report was given by social reformer Elbridge Gerry that child murder has been practically stamped out in the City of New York from the time that the institution [the New York Foundling Hospital] commenced (de Lourdes Walsh, 1960). For those who had previously argued against the Sectarian public funding, it was difficult to dispute with the results. The SCNY’s responsiveness to the community in crises situations continued to dispel Catholic prejudice. In the midst of the Long Depression, a smallpox epidemic led to an overwhelmed staff at Riverside Hospital on Blackwell’s Island. Conditions were so appalling that some of the afflicted preferred to die on the street, promoting further infection. Eight sisters were asked to oversee the nursing and accepted, despite the risks. Care was predominantly palliative; 1,280 deaths occurred at the height of the epidemic in 1875. Still, they were publicly recognized by the board of health as having changed the reputation of Riverside and encouraged its use by the infected, limiting the interaction of those with small pox in the community. In 1876, the sisters significantly expanded their educational efforts with the opening of Mount St. Vincent Academy. The institution quickly had a strong reputation, and it even attracted the attention of distinguished guest Thomas Edison in 1878, who demonstrated the phonograph, telephone, and electric pen. The Sisters of Charity of New York also continued to branch out into surrounding areas. In 1889, they established the first international mission in Nassau in the Bahamas. When Sr. Irene Fitzgibbon passed away, the thousands who took part in her funeral procession were a testament to the significance of her work. The New York Times devoted extensive coverage to her many accomplishments. In 1917, the young companion who also began the infant asylum work, Sr. Teresa Vincent, passed away. The institution had been an innovative service-provider, and Sr. Irene is credited with using an open-air porch and windows on both sides to keep airflow on hospital units. Also, the idea of tinting glass blue to cool the afternoon sun has been credited to the New York Foundling Hospital. One of the innovations that had been maintained from the beginning became less appreciated as professionalization increased in nursing and social services. The sisters took as little information from parents as possible in order to be sensitive and ensure confidentiality. Some infants were left on the doorstep with only a name and baptismal information. Just after Sr. Teresa’s death, poor conditions were uncovered in other social service organizations and led to a demand for a written history of each case, as well as oversight by a social worker in the admissions department. The New York Foundling Hospital would weather the storm as it had many others. St. Vincent’s Hospital continued its work in the Brooklyn area, and it was also a place of innovation. In 1899, one of the first x-ray machines was presented to the institution for its golden anniversary. By 1960, the annual operating cost was roughly eight million dollars, and it had added an entire building for research. The SCNY hospital was the third oldest in the city until its closure in 2010. In 1909, the SCNY took another leap in Catholic education involvement. They responded to the Archbishop’s request for Catholic higher education and opened the College of Mount St. Vincent. By 1912, a full set of courses helped sisters gain advanced degrees for their future service work. With the organization of the National Conference of Catholic Charities, the sisters developed a national profile. When one sister presented and was insulted by an attendee, she defended her position effectively and demanded a public apology which was later given. In 1930, the White House Conference on Social Welfare invited a representative of the SCNY community to attend, acknowledging their vast knowledge of childcare. In education, the communal feel of Mount St. Vincent Academy continued to be a strong point. In 1927, an alumni association was created to promote cooperative work of those who had roots in SCNY education. The order also took the centennial of McGowan’s Pass, 1947, as an opportunity to gather representatives of the SCNY missions and institutions scattered across the region. 900 sisters reportedly attended a celebratory Mass offered by Bishop Donahue, a long-time friend to the community. The sisters adapted as the professional world brought innovations like special education and counseling into the social services. Unfortunately, a lack of vocations became a greater concern; for example, the sisters could not provide enough personnel to St. Mary’s Hospital in Brooklyn and withdrew in 1940. Sometimes changes in surrounding community demographics also led to closures of Catholic schools, a trend which has continued in recent times. Conclusion: In 150 years of service, the Sisters of Charity of New York opened roughly 100 schools in New York, Pennsylvania, New England, and other areas. Their care of orphans and the sick, especially in response to public health crises, was an asset to the early community of New York City and significantly lowered prejudice against Catholics. They were involved in treating the Spanish Influenza, Titanic disaster victims, and those affected by 9/11. The Sisters of Charity of New York have continued their traditional responsiveness to communal needs in the midst of recent disasters, and their dedicated service will likely impact those in need for generations to come. Conclusion: In 150 years of service, the SCNYs opened roughly 100 schools in New York, Pennsylvania, New England, and other areas. Their care of orphans and the sick, especially in response to public health crises, was an asset to the early community of New York City and significantly lowered prejudice against Catholics. They were involved in treating the Spanish Influenza, Titanic disaster victims, and those affected by 9/11. The SCNYs have continued their traditional responsiveness to communal needs in the midst of recent disasters, and their dedicated service will likely impact those in need for generations to come. “Habits of Compassion” by Maureen Fitzgerald. Chicago: University of Illinois Press, 2006. Only For Your Love… New York The Mission of Charity. 200th Anniversary Celebration. Introduction: Some of the earliest sustained social service institutions and health care facilities in New York City were started by the sisters. Their allegiance to local Catholics in the city came in conflict with their obedience to their superiors in Emmitsburg, eventually leading to the establishment of a separate order recognized as the Sisters of Charity of New York (SCNY). As Catholic immigrants arrived in poverty during the 19th century, the sisters became known for accepting newborns at the doorsteps of the convent. The work of the SCNYs in education, health care, and other social services for all faiths and races continues today throughout the city and beyond. At the time, almshouses provided no education and were generally an unfavorable environment for a growing child. Often, the conditions were dirty, and orphans were joined in the shelter by those deemed criminal, diseased, or insane. In response to these conditions, a Protestant orphanage had opened about ten years before the Roman Catholic Orphan Asylum. The early Catholic lay community lacked basic necessities and had limited financial security, especially in New York where many were poor immigrants. The early work of the sisters was funded in many ways, including successful appeals to Protestants and charity sermons at Mass that encouraged generosity from attendees. One of the more creative approaches was an opera event at St. Patrick’s Cathedral, and this benefit concert became an annual affair. It was particularly successful in its first year, 1826, since Italian opera companies had only opened in the city during the previous year. One sister, an excellent organist, was permitted to hire out her skills in support of the service work. With so few funds, the sisters approached their work in an ordered way as to provide quality education despite the large quantity of students. If possible, groups of three sisters were chosen carefully to open a new mission and school in hopes of promoting experience and energy, including one sister who had worked in education for years, a newly professed sister, and a novitiate completely new to teaching. The Lancastrian method of teaching was also employed, where elementary instruction was provided using older children as classroom monitors. The immediate effect of the split was understaffing in the three asylums, three academies, and three free schools run by the sisters at that time. Still, Hughes had faith that vocations would be plentiful in his growing community, especially considering the many orphans and poor Catholic girls who benefitted from the work of the sisters. In fact, there were candidates immediately interested and a motherhouse was purchased at McGowan’s Pass just outside the developed area of the city. At McGowan’s Pass, the sisters found themselves living in a former bar and a building of great disrepair. Within a few decades, the sisters would establish a religious community and reputable school at the site. Many parents hoped the structure of the SCNY lifestyle, which students generally followed, would order the morality of their children. Luxury was a minimal concern, and the school was still a shack in 1857, ten years after opening the new motherhouse. It had even taken a few years before the city extended running water to the establishment. The SCNYs responsiveness to the community in crises situations continued to dispel Catholic prejudice. In the midst of the Long Depression, a small pox epidemic led to an overwhelmed staff at Riverside Hospital on Blackwell’s Island. Conditions were so appalling that some of the afflicted preferred to die on the street, promoting further infection. Eight sisters were asked to oversee the nursing and accepted, despite the risks. Care was predominately palliative; 1,280 deaths occurred at the height of the epidemic in 1875. Still, they were publicly recognized by the board of health as having changed the reputation of Riverside and encouraged its use by the infected, limiting the interaction of those with small pox in the community. In 1876, the sisters significantly expanded their educational efforts with the opening of Mount St. Vincent Academy. The institution quickly had a strong reputation, and it even attracted the attention of distinguished guest Thomas Edison in 1878, who demonstrated the phonograph, telephone, and electric pen. The SCNYs also continued to branch out into surrounding areas. In 1889, they established the first international mission in Nassau in the Bahamas. When Sr. Irene Fitzgibbons passed away, the thousands who took part in her funeral procession were a testament to the significance of her work. The New York Times devoted extensive coverage to her many accomplishments. In 1917, the young companion who also began the infant asylum work, Sr. Teresa Vincent, passed away. The institution had been an innovative service-provider, and Sr. Irene is credited with using an open-air porch and windows on both sides to keep airflow on hospital units. Also, the idea of tinting glass blue to cool the afternoon sun has been credited to the New York Foundling Hospital. In 1909, the SCNYs took another leap in Catholic education involvement. They responded to the Archbishop’s request for Catholic higher education and opened the College of Mount St. Vincent. By 1912, a full set of courses helped sisters gain advanced degrees for their future service work. With the organization of the National Conference of Catholic Charities, the sisters developed a national profile. When one sister presented and was insulted by an attendee, she defended her position effectively and demanded a public apology which was later given. In 1930, the White House Conference on Social Welfare invited a representative of the SCNY community to attend, acknowledging their vast knowledge of childcare. 1. “The Sisters of Charity of New York” by Sr. Marie De Lourdes Walsh (Volume I). New York: Fordham University Press, 1960: 48, 123. 2. “Bishop John Hughes and the Sisters of Charity” by the Rev. Dr. Joseph B. Code. Reprint by Joseph Bernard, b. 1899: 48. 3. “The Sisters of Charity of New York” by Sr. Marie De Lourdes Walsh (Volume III). New York: Fordham University Press, 1960: 134, 84. “The Sisters of Charity of New York” by Sr. Marie De Lourdes Walsh (Volume II). New York: Fordham University Press, 1960. I would suggest you contact the New York Historical Society or the archives of the Archdiocese of New York https://archny.org/historical-records. They would be able to give you more specific information than we have at VCU Libraries. What is the best way to locate a Catholic Orphanage where someone was a resident back in 1927. My mother knows she was born in 1927 at a Catholic hospital in New York City (Manhattan) and then placed in an orphanage until she was adopted at about 18 months of age. It seems as if there were a lot of Catholic orphanages in New York back then and I don’t even know where to begin. Were there any that were associated with a hospital? That might help narrow the search. Thank you for any information you may be able to offer. I would suggest you contact the New York Historical Society or the archives of the Archdiocese of New York https://archny.org/historical-records. They would be able to give you more specific information than we have at VCU Libraries. Good luck with your search. Joseph Kennedy orphanage on stillwell ave Bronx.N.Y. in the 1950’s. Mr. Dowd — We don’t have the information you’re looking for, but you might try the Archives of the Archidiocese of New York. They’ve posted this photo on Facebook: https://www.facebook.com/ArchNYArchives/photos/a.234810433328131.1073741828.169224126553429/438931266249379/?type=1&theater Their phone number is: (914) 476-6333 The Kennedy Home was located 1770 Stillwell Avenue in the Bronx, and is now owned and operated by United Cerebral Palsy of New York City, Inc.